I'm the editor and publisher of 40 South News. Previously I was an editor for the AOL-owned Patch.com in St. Louis. At various times I edited Patch sites in Clayton, Richmond Heights, Brentwood, Maplewood, Shrewsbury, Affton and others. Before that I shot and wrote for the Principia School, in St. Louis. I live in Maplewood with my wife, Nancy. Brentwood resident, Robin Duntze, asked some city aldermen specific questions by email about the city’s recycling program. After receiving no responses, Duntze allowed the questions to be posted here. Duntze said that although there was some explanation given on Facebook, NextDoor, and in comments regarding a 40 South News article, it’s important to note that not all residents may have access to, or awareness of, these platforms. I was wondering if the city of Brentwood is planning to update residents about the recycling situation either via a link on the city website or preferably via a newsletter sent to all residents? Could the City provide more detail concerning the almost 4 month gap in recycling services? Why did Republic Services not approve a temporary agreement with the city sooner? If you’re a 40 South News reader, you may have noticed that 1) 40 South doesn’t have as much content as it has in the past, and 2) if you’re signed up to receive the 40 South email newsletter it’s not going out as often. I feel compelled to explain that the reason for both is that I (editor, Doug Miner) now have additional obligations, meaning less time to cover meetings and follow up on stories, leading to the newsletter not going out as often. While I have wavered on whether or not to continue to publish 40 South for now it it’s a go. Given time, there’s always another new business, city hall intrigue, or local election result we all can’t wait to find out more about. As always, news tips or other contributions are always welcome. It is nearing an election and there are topics being discussed that are of concern to Maplewood citizens. One of those topics is the city’s nuisance ordinance. I am attaching a link to the nuisance ordinance [Revised Nuisance Ordinance] with the original language, plus the deletions and additions which were negotiated with, and approved by the ACLU so that you know exactly what the ordinance states. A representative from ‘Better Together,’ the group promoting merging St. Louis city and county will speak at the April 1 Richmond Heights City Council meeting, Mayor Jim Thomson said Monday in the council meeting. He said he didn’t know if the representative will take questions but assigned each city council member the task of coming to the meeting prepared with one question and possibly a follow-up. “I’m hoping they will come professionally, and so will we,” Thomson said. The April 1 meeting will begin at 7 p.m. instead of the regular 7:30 p.m. start time. Some Maplewood residents have said their tap water tastes different lately. One said it tastes “extra-processed” and another described it as tasting dirty. It looks like they are both right. KSDK looked into it and reported that flooding, like we’ve had recently, can cause pieces of dirt and sometimes chemicals from upriver run-off to be suspended in the tap water. Missouri American Water adds “powder activated carbon to remove any odor or taste. For more than two decades, one of the seven chairs at Maplewood Richmond Heights School Board meetings has been occupied by the white-bearded attorney and public education advocate Nelson Mitten. That era has ended. Tuesday night, Mitten participated in his last board meeting, with his final official open-session action being to call the board into executive session. Candidate for Maplewood Richmond Heights Board of Education, Dale Chambers, shares his thoughts about running for the school board. Hello! I’m Kenneth (Dale) Chambers, and I’m honored to be running for a position as a Director for the Maplewood-Richmond Heights School Board. My family (son Calvin, wife Jackie, and I) chose MRH schools twelve years ago, during a time of major change and growth for the district. In those years—from preschool to high school–we’ve experienced every campus in the district. Brentwood’s Proposition B, a half-cent sales tax increase voters will decide on April 2, is a plan to help fund Brentwood Bound, a $79 million project that focus on revitalizing parts of Brentwood. If the tax passes it would push the city’s rate — combining state, county and city sales taxes — close to 10 percent. The current rate is 9.113, according to one website, and others. Areas of the city currently paying for a TIF can be higher (for instance the sales tax at REI is now at 10.238 percent). The plan would include Deer Creek flood mitigation and improvements to Manchester Road in the area between Hanley Road and Brentwood Boulevard. A Maplewood resident said in an email to 40 South that he’s noticed that his property values have gone up an ‘enormous’ amount for 2019. He says, for example, that his appraised home value went from $325,000 (2018) to $478,400, an increase of 47 percent. Also, his empty lot he owns went up from $62,300 (last year) to $90,000, an increase of 44.4 percent. And also, the appraised value of a home on Marietta Avenue that the editor here has an interest in went up 19 percent. The St.
Lois added: “We have a real variety of art forms being exhibited and our artists are from several generations.” Art mediums to be displayed include stained glass, quilting, wood sculpting, acrylics, watercolors, photography, and other mixed media. Next, Council hears the first reading of Bill #5554 approving a lot consolidation of 1501 Laclede Station Road and 7904 Elinor Avenue into one single lot. Council will hear the second reading & vote on April 1st. For our 'New Business,' we have a first reading of Bill #5553 approving a lot consolidation at 7564 Council Place and the adjacent vacant lot to build a detached garage. Council will hear the second reading & vote on April 1st. City Manager @amyhami is asking for a motion to authorize the mayor to sign the seven contracts for @THEHEIGHTSRH Renovation Construction with the recommended bidders, as explained & recommended by Parks and Rec Director, Teresa Proebsting. More information soon! The City Council has also approved a liquor license for the Courtyard by Marriott Hotel located at The Crossings at Richmond Heights. We are told they plan to open in May. Cheers! Next, the City Council has approved a conditional use permit to allow the serving of food and the sale of alcohol at the Courtyard by Marriott Hotel. First, the City Council has approved a conditional use permit for the Residence Inn at the St. Louis Galleria to allow the sale of alcohol and provide dinner service at their location. For the City Manager report, @amyhami has a couple of conditional use permits, a liquor license request, and discussion about @THEHEIGHTSRH renovation construction contracts. Maplewood Richmond Heights third grade girls competed over the weekend at the Chaifetz Arena in the FIRST LEGO League Jr expo, Jennifer Phillips has reported. The team met each week since the fall researching life on the moon, designing a space habitat, and programming a robotic rover. They then presented their work to an audience and panel of judges. The team, “The Galaxy Girls,” received the “Presentation Sensation” award for their work. This is the team’s second year participating in the nationwide event. Jake was a great son, brother, friend and Marine. His smile and silliness were contagious and would light up a room. Jake was a guy you could count on in times of need with either a funny Mel Brooks movie quote to cheer you up, or a helping hand for any project. 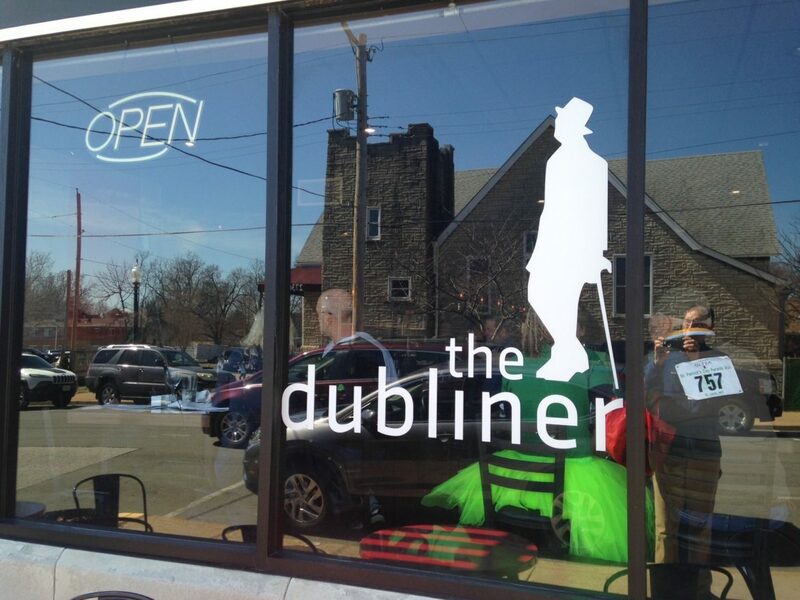 KMOV — The Dubliner will re-open in Maplewood in time for St.
Hello my Maplewood and Richmond Heights Neighbors. My name is Brandi Herndon-Miller, and I am an incumbent running for the position of Director on the Maplewood Richmond Heights School Board on April 2. As a lifelong resident of Richmond Heights, with a family rooted in the MRH School District, I have seen the transition of our district first-hand into the exceptional district it is today. 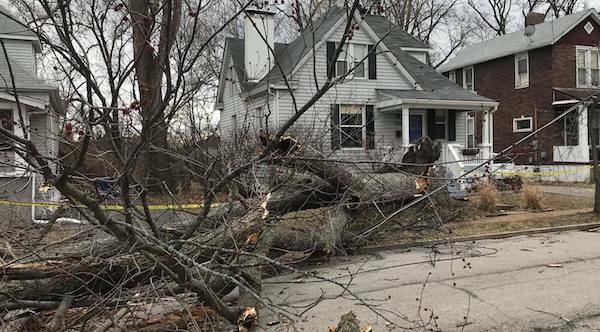 Maplewood Police reported Thursday afternoon that high winds had downed trees and power lines Thursday in Maplewood, at Sarah at Limit and Elm at Arbor. Police reported the streets will be closed until Ameren crews can untangle the power lines from the trees. After everything has been deemed safe by them, Maplewood Public Works can begin their work. In my 16 years in Maplewood city government I have never publicly endorsed candidates for City Council, until now. These are challenging times as Better Together threatens the existence of Maplewood as an independent city and we are making preparations to replace our City Manager, Marty Corcoran, who is retiring after 35 years of serving our city in that role. The role of the council has never been more important than now. We are also losing Tim Dunn, who has served as a council member for the last 25 years. In my tenure on the Council, I have had the opportunity to work with many committed citizens who have invested a great deal of time and effort to help make Maplewood the community it is today.